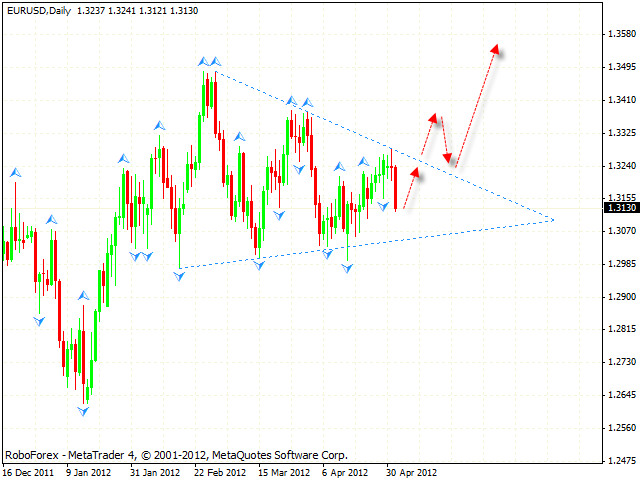 At the daily chart the EUR/USD currency pair continues moving inside “triangle” pattern. The price rebounded from the pattern’s upper border, and at the moment is falling down quite fast. The market will tend to be unstable until the price is inside the pattern. We should wait a bit until the price leaves the pattern, and then it will become clear which direction it is going to move. In case Euro starts growing up from the current levels and closing price breaks the level of 1.3285, we should expect the start of the ascending trend. 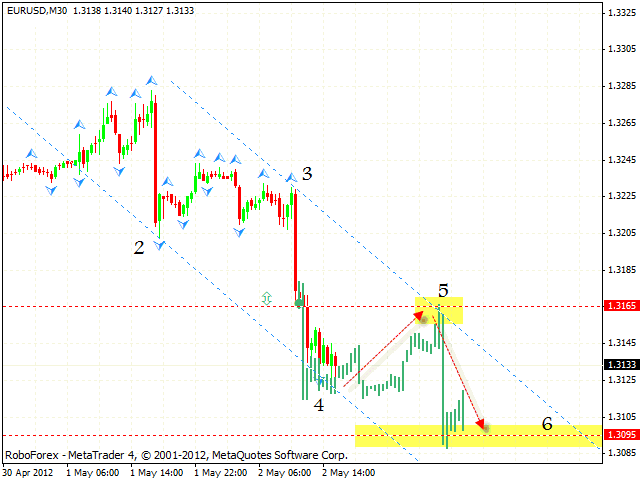 At the moment the price is forming the descending mirror pattern with the target in the area of 1.3085. We should expect the pair to be corrected to the level of 1.3170, where one can consider selling it with the tight stop. If Euro grows up higher than 1.3230, this scenario will be cancelled. 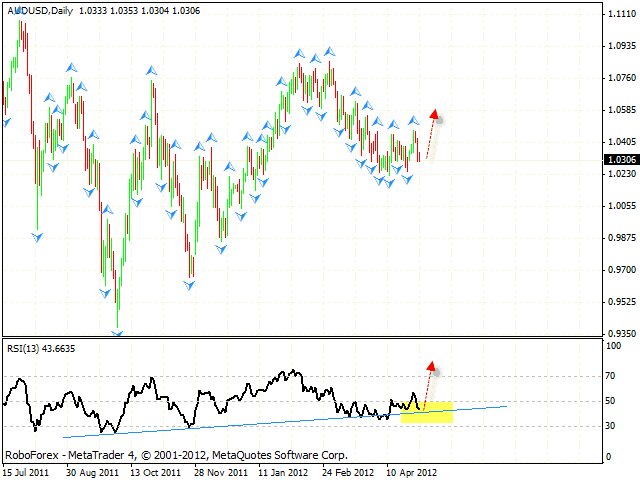 The GBP/USD currency pair is being corrected downwards. If you remember, we expected it to start falling down near the level of 1.6275. Right now we have two possible scenarios. The first one suggests that Pound may fall down to into the area of 1.6050 and then start growing up towards the level of 1.6460. The second scenario implies that the pair may start growing up from the current levels. The test of the trend’s ascending line at the RSI is a signal to buy the pair. That’s why aggressive traders are advised to consider buying the pair with the tight stop from the current levels. Conservative traders are recommended to stay out of the market. At the daily chart of the USD/CHF currency pair the price is also moving inside “triangle” pattern, at the moment the price is growing up. However, there is still a possibility that the pattern may be broken downwards. 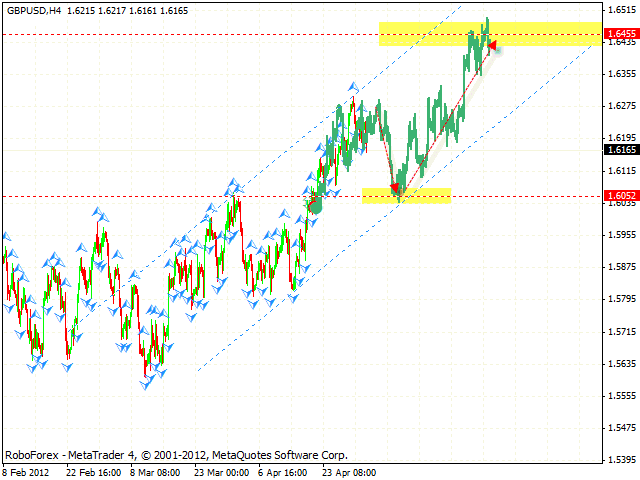 At the H1 chart of the pair we should expect the price to be corrected to the level of 0.9115. 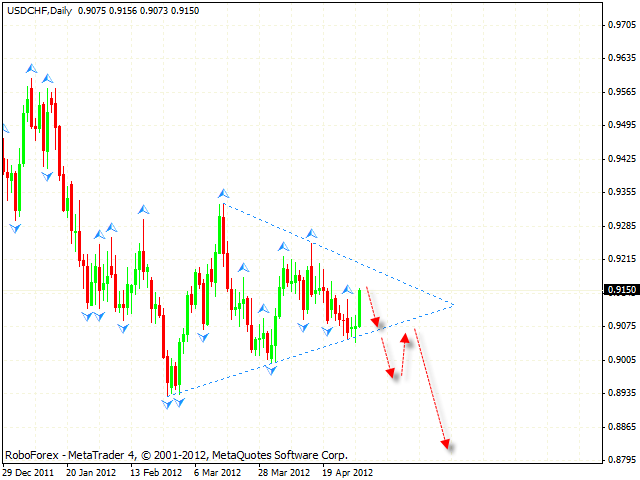 If the pair falls down lower than 0.9065, the pattern will be broken downwards and the descending trend will continue. 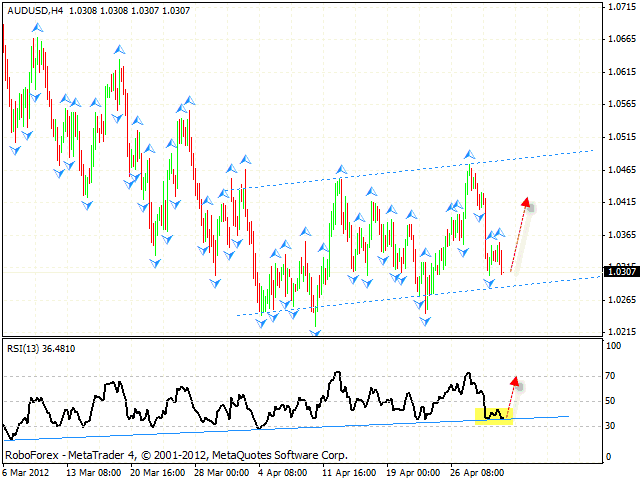 Australian Dollar, after making a significant ascending movement, couldn’t stay at the level of 1.0460 and fell down. Judging by the structure of the price movement at the daily chart, we can see that there is still a possibility that the pair may start growing up from the current levels. The test of the trend’s ascending line at the RSI is an additional signal to by the pair. 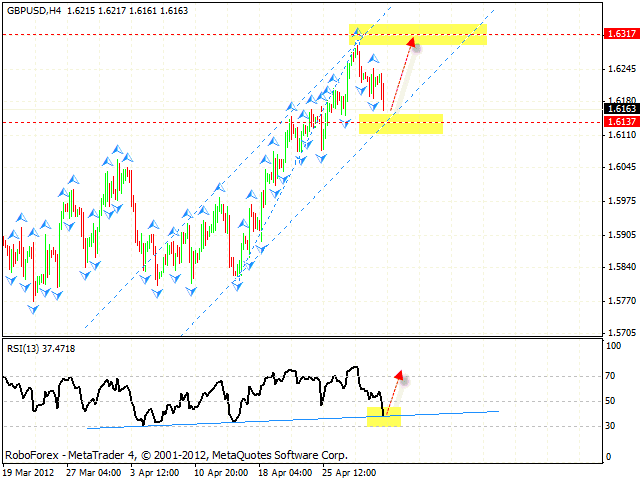 Aggressive traders are recommended to buy the pair from the current levels with the tight stop below 1.0305.